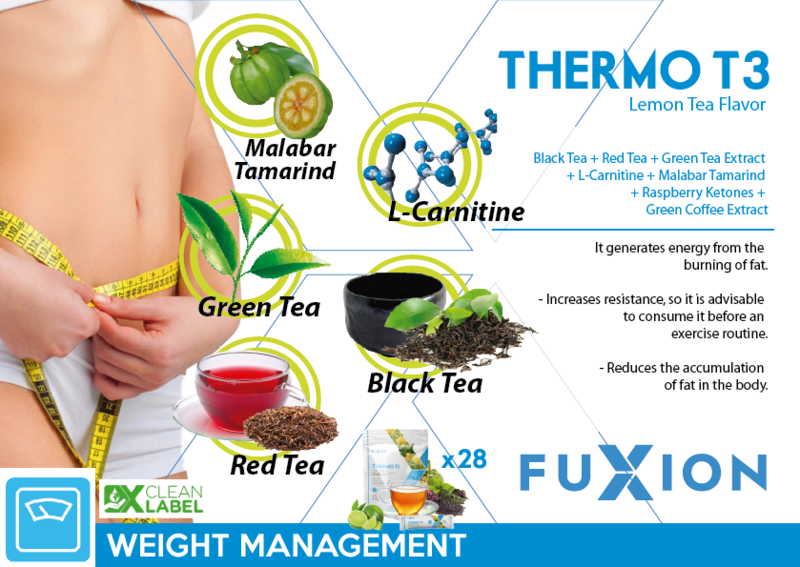 FuXion Thermo T3 formula is a powerful blend of three different teas (red, black, and green) with a delicious lemon tea flavor. and ingredients as L-Carnitine, and Malabar Tamarind that boosts its thermogenic effect to help you burn fat more efficiently, getting rid of those rolls in a healthy way. 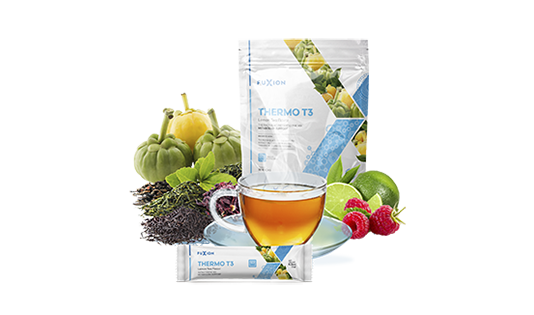 Thermo-T3 will also help you to generate energy by burning fat, increasing your stamina; making it the ideal drink before you start your exercise routine or after meals, to help you reduce fat accumulation in your body. Drink Hot or Cold!